Samantha’s got a non-fraternization rule in place for a reason. No way will she get involved with a client. Sure, she’s attracted to Trevor, but he’s only with her temporarily and she’s not to into casual flings, even if the hottest man in Hollywood wants her. 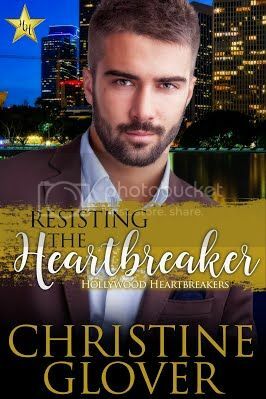 They try to resist each other, but they can’t deny the heat flaring between them and their sizzling chemistry spirals into an intense connection. Christine Glover is the author of tantalizing, sensual, emotional contemporary romances. She enjoys finding the silly in the serious, making wine out of sour grapes, and giving people giggle fits along with heartfelt hugs. When she’s not writing, you can find her traveling the world, cooking gourmet food, and desperately seeking a corkscrew.